How do I search for Star Alliance and One World award space? 13 Comments on How do I search for Star Alliance and One World award space? Give yourself more award options. Learn how to look for Oneworld and Star Alliance partner award space. Everyone reading this should know how to search for Singapore Airlines/Silk Air award space. But even among those who know they can redeem their Krisflyer miles for Star Alliance partner flights (and believe me, there’s a shocking number who don’t), few know how to go about searching for availability apart from giving random dates and routes to the CSO over the phone and hoping for the best. SQ’s website has historically never allowed Krisflyer members to search for partner award space online. I’m not sure whether this is just sheer IT incompetence or a more deliberate move to limit partner redemptions (and therefore reimbursement payments to partner airlines), but whatever the case it leads to a lot of inefficiency when you want to redeem your miles. Cathay is a bit better in this respect in that you can look for OneWorld award space through its online booking engine, but it’s notoriously buggy and does not display all OneWorld carriers. You’ll have to call in if you want to book MAS/AA space for example. Given the vagaries of communication over the phone, it helps to call up prepared, knowing what is and isn’t available. Feeding flights and segments to the CSO can save you much hair pulling and it’s so much easier to put together a plan and then call rather than having to make decisions on the phone. Here’s how I search for award space for Star Alliance and One World. Sorry, no SkyTeam guide. Don’t roll your eyes, but one of the worst airlines in the world has one of the easiest to use search engines for Star Alliance award space. The best thing is that you don’t even need to create a MileagePlus account to use the search engine. Here’s the search box that appears on United.com’s homepage. Just enter your destinations and dates, click “Search for award travel” and search. Here’s the second thing I like about this engine. Unlike SQ’s annoying website that will only display one day at a time, United.com shows you an award calendar with dates when saver award economy and saver award premium seats (i.e first and business class) is available. This makes searching for alternate dates easy. You should be looking for “Saver” award space. This is the space that is available to Star Alliance partner carriers. “Standard” awards cost more, and are only available to members of United’s MileagePlus program. Think about it like Cathay’s Standard/Tier 1/Tier 2 awards system, which I explained here. Don’t get confused by the prices displayed on United.com- the prices shown here are what Mileageplus members will be paying to redeem these saver awards. 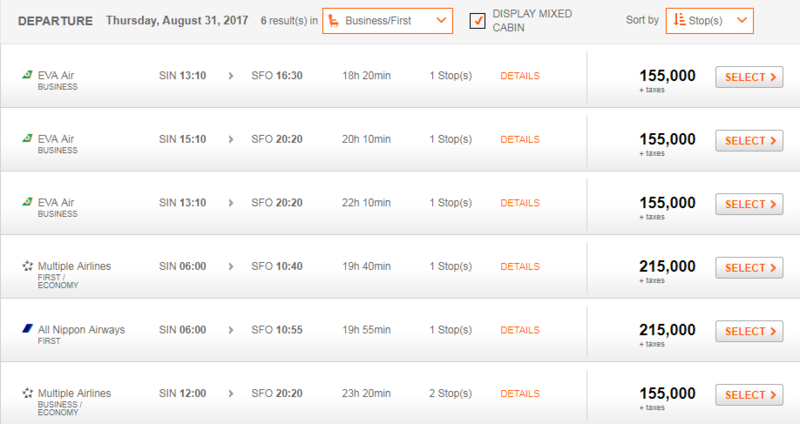 For example, a one way SIN-SFO award in Business Class costs a United Mileageplus member 80,000 miles + S$158.80 in taxes. The same award would cost a Krisflyer member 97,500 miles + taxes (taxes is always a tricky one to guess because some airlines will pass on fuel surcharges and others don’t. You can confirm this when you talk to the CSO). Always refer to the Krisflyer partner award chart to know how many miles an award costs. One limitation (and it’s rather significant): United.com does not display Singapore Airlines award space. Yes, the two airlines had a falling out a few years ago and like a mature adult, United decided to block all SQ award space from its website. Why does this matter, you think. Doesn’t SQ block its award space from most Star Alliance partners anyway? Yes and no. SQ blocks long haul F and J partner award space on their A350, A380 and 77W aircraft (basically, the good stuff)*. However, SQ’s regional business class on its A330s and 772s is available for partners to book. SIN-ICN-SFO (SIN-ICN on SQ and ICN-SFO on Asiana). SIN-TPE and SIN-ICN are operated by SQ’s A330s that have the regional business class seat and hence are open for Star Alliance partner redemptions. But because United.com’s website will not show SQ award space, neither option will appear! Therefore, even though it would be possible to get a Krisflyer agent to book such an award, you won’t know it exists by looking at United.com. 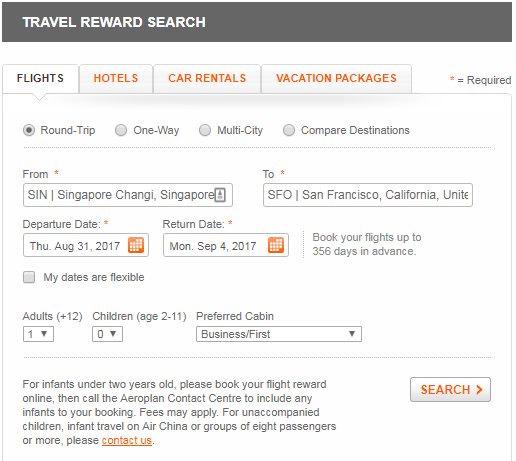 More importantly, Aeroplan is able to see SQ award space and use that to knit together otherwise unavailable itineraries, as you can see in this SIN-ICN-SFO example below that uses SQ and Asiana. Once you’ve identified the dates you want, take down the flight numbers and timings. Then call up Krisflyer membership services and feed them the dates, flight number and flight timing. 99% of the time, they’ll be able to see the same things you see on the Aeroplan website. Trust me, you’ll be making their lives a lot easier. They’ll inform you the taxes applicable and issue the ticket over the phone. Congrats, you just booked an SQ partner award! I know other people prefer using ANA’s search engine to look for Star Alliance award space, and it’s also possible (though less reliable) to use Lifemiles too. I’m not going to cover those here because I think Aeroplan should suffice for most regular users, but you can have a read on the ANA engine here. So that covers Star Alliance redemptions, but you’re letting yourself down if you stop there. 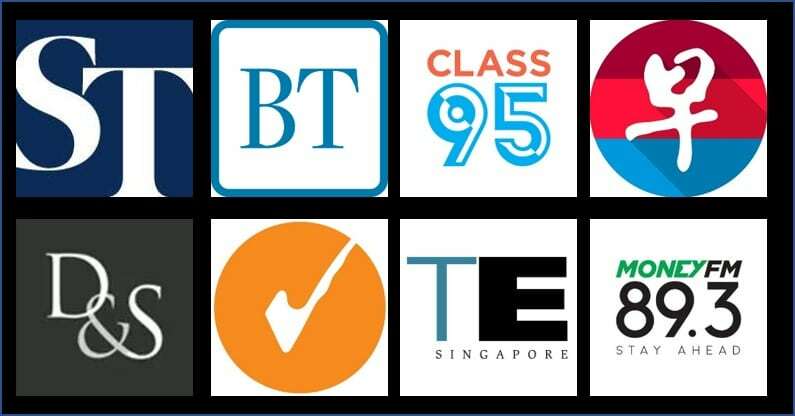 In Singapore you can also easily earn Asiamiles, and those Asiamiles can be used to redeem OneWorld award flights. You need to create an Avios account to search OneWorld space via BA.com. Again, it’s a fast and painless process. Once you plug in your dates and routes, you should be able to see results on different Oneworld carriers- see the example of flying QR to HEL and AY back. I’m less of a fan of BA’s way of showing award availability over a range of dates- they only show 7 days and you need to click on an individual date to see what’s available. Once you’ve created a Qantas account, you’ll be able to search for award space. Be sure to click the “Use points- Classic Flight Rewards only” button or you may not be able to enter certain cities. 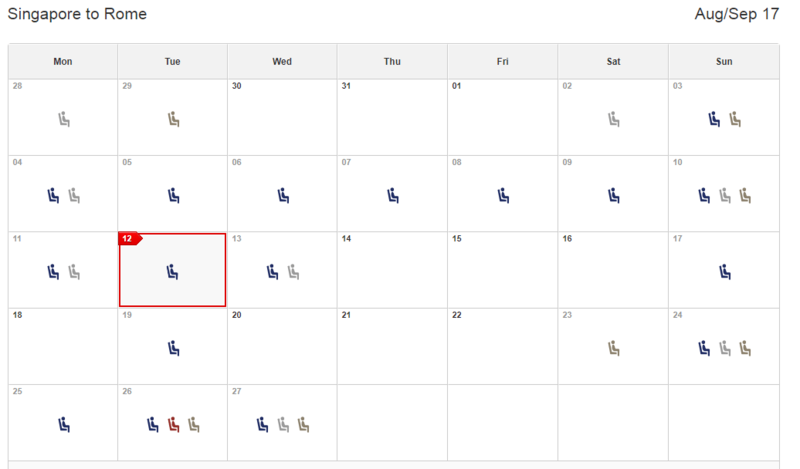 Qantas has a much better availability calendar than BA. You can see, for a whole month, which days have economy/premium economy/business/first class partner awards with just a single click! One limitation of the Qantas engine, as TPG points out, is that you’re not able to search for all Oneworld routes. You can easily tell if the Qantas engine will work for your itinerary. If you input the airport codes of your desired itinerary, have the Classic Flight Reward option selected and you still can’t see your destination city as an option, Qantas does not have the capability to show you award seats. You need to use BA.com to look for award seats on that itinerary. The same rules for Krisflyer apply here- once you know what dates and flights you want, give Asiamiles membership services a call to lock in your itinerary. 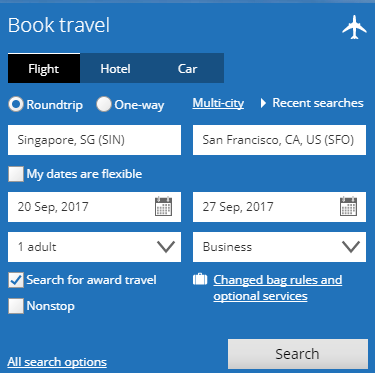 I understand booking partner award flights may seem daunting for some people, but it’s worth spending a couple of hours playing around with each of the award engines above to familiarize yourself with how they work, and (more importantly) how they don’t work. Armed with this knowledge, you’ll have much smoother calls with the CSOs when the time comes to book. got it … sorry, misread! Did test to find availability flight to ADD, it seems United engine exclude Ethiopian Air while Aeroplan include it . yes, you will see those airlines. but like i said, you will not see all oneworld. MAS is a big missing one, especially for people positioned in SIN. Can’t seem to register a “free” Avios account via the online portal at https://www.avios.com/gb/en_gb/my-account/log-into-avios unless you already have a pre-existing Avios membership number (see the URL’s display). Hi, i have a Marco Polo account and have been accumulating Asiamiles. 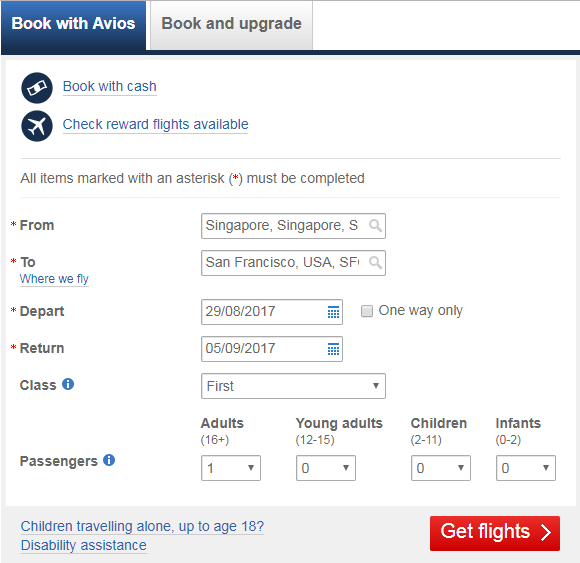 Do you mean that if i register for an Avios account, i can use it to search for flights and redeem One World carries using Asiamiles? Is my understanding correct?